Happi Sac is a wrist bag to carry your essentials when you’re on the go. Created to help you “keep it together” and look good doing it. Fashion accessories inspired to help keep you organized when you’re on the go. Check us out & and let's KEEP IT TOGETHER. 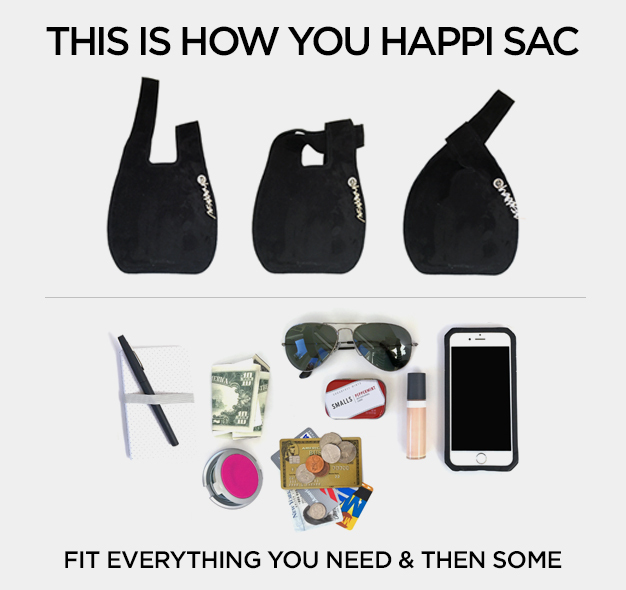 Happi Sac, the bag to help you “keep it together” and look good doing it. We <3 our relationship with this bead weaving studio & know you will too. Small can be strong! See what fits into this might little bag.